There’s a lot of F! @#ed up $h!+ in this world. A lot. Ferguson is just the tip of the iceberg. And all the racial oppression, injustice, and discrimination that leads up to something like Ferguson – that’s just the tip of an even bigger iceberg. I won’t go into a long complaining litany about all the things that are wrong with the world – why bother? That’s what the news is for, isn’t it? And I’m not going to just say some canned cliche about how much we have to be thankful for. Either way you go with the argument – whether bemoaning or praising the world at large – unilateral and unconditional rants are yawnworthy and, frankly, dishonest. Of course, life is a mixed bag. Some have it good, some have it bad, and anyone can find someone who has it better and worse. We all have that in common. I don’t think there’s any point in feeling guilty about having it good. If you inherited it – you did so without ever giving consent to your advantages; and if you worked hard for it – well, then you worked hard for it – and who can fault you for that? Still, I think understanding where you are in relation to the rest of the world… really taking an objective view of where you stand… can help to eliminate some of the frustrations and cynicism that arises from wishing that either we, or the world, or anything was better. In other words – remembering we have it good should help us to quit bitching; maybe even inspire us to try and make things better for others who have it worse. As climbers, we all have it uniquely good. And I don’t just mean because we get to spend countless hours and dollars upon this completely extravagant and superfluous hobby. Yes, I have more pairs of climbing shoes than many children in the world have pairs of shoes – but that’s not what I’m talking about. That’s kind of a tired argument, and it says a lot more about our materialistic culture than it does about climbing. What makes climbers so fortunate, to me, is not our socio-economic status, our shiny clinking cams, or our ability to travel far and wide to play. What makes us so fortunate as climbers is that we get to experience adventure. Truly. And it doesn’t just have to be outside, or runout, or sketchy. You can find adventure in a climbing gym, on a boulder problem, on a 4th class ridge. You can find it in the mountains, in a river gorge, or on a curtain of ice down the side of a grain silo in the middle of Nebraska. Climbers are the lucky ones, because we get the opportunity to experience that sense of adventure every time we leave the ground. As we climb we ascend not only physically, but metaphysically as well into a higher state of awareness. Even on toprope, gravity’s persistent pull reminds us of where we are. By climbing, we get to discard the tethers and trappings of the “real world”, and replace them with the feeling of weightlessness. It seems unlikely to me that life is about time spent in boxes, punching keys (as I’m doing now), buying fancy cars, appliances, and homes. Life can be so much more than many people as financially fortunate as ourselves make it out to be. When I look at my own life, I feel that my greatest opportunities have come in the form of sunrises and sunsets, alpenglow on towering stone, the feeling of movement – of perfect movement – each time I’ve tried HARD. This, I think, is what makes climbers lucky. And, in the case of the dearly departed – it is what makes them tragic heroes. No climber’s death should come easily – no human’s death. No death at all. Death reminds us of our own mortality, impermanence, and futility. All of us are born just to die again – gain friends, families, and loved ones just to bid them adieu… Life itself is tragic – it’s in the very fabric of living. And yet – foredefeated as we are – most of us get up every morning, and try really hard to make the most of this insane existence. 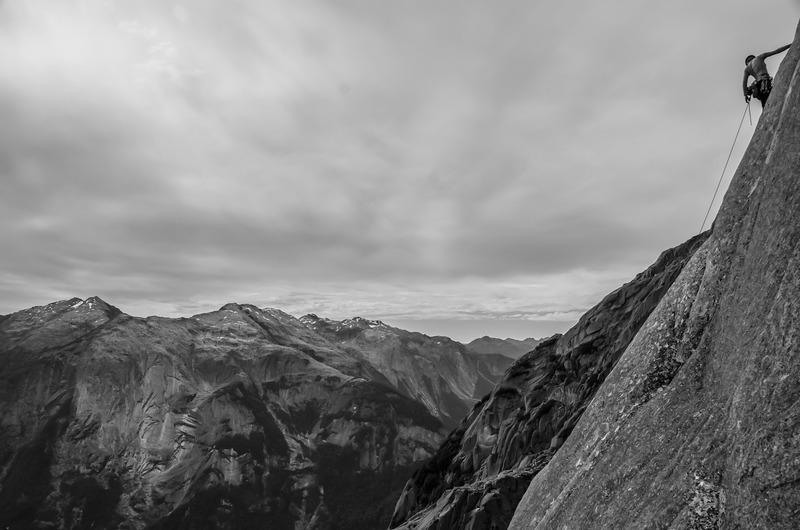 Climbers (I think) more than most, fight tooth and nail to make life passionate, exciting, and memorable. People, like Heidi, who die climbing die living. They die trying to make something remarkable and special out of this life. They die knowing in their hearts that life is a gift, but you gotta use it! Don’t just let it sit around in the corners of your animated corpse gaining dust – take it with you everywhere. When you’ve misplaced it, get frantic and go FIND it again. Search high and low for life, and when you get it back, don’t give it up easily. It doesn’t have to be climbing – you can find life in a family, in a job you care about, in anything that fills your time and consciousness. Wherever you find it – if you cherish it, and share it with the rest of the world, you will not die in vain; no matter how or when you die. I wish the friends I’ve lost were still around to tell me how cheesy I am – I wish they still got to share thanksgiving with their families, with the desert, with whatever haunts brightened their souls. I am always sad they are gone. But I’m proud to be a climber, and I’m proud of the members of our community who have gone before us. I stand by how they died – I do not think it is in vain. While I never want to die as so many climbers have before, I take that risk knowingly every time I climb. And the reason for that, is because I want to live as they have lived. A friend I am grateful is still around, living large in Cochamó.